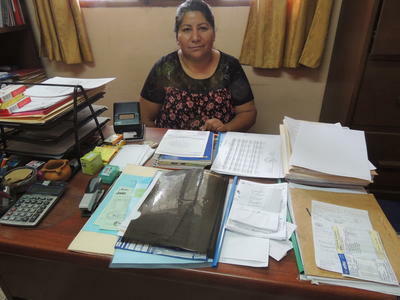 From January 2015 to June 2016, the Bolivian Attorney General’s Office reported 147 cases of women who were killed through gender-based violence. Of these cases, only four ended in convictions. This staggering discrepancy leaves women in Bolivia feeling unsafe and uncertain that their country’s justice system can protect them. Without the assurance that abusers and human traffickers will be convicted and punished, it’s very easy for abused women to feel that there are no viable escape options. Abusers and human traffickers work to isolate women by taking away their social support systems and their ability to earn an income. Part of the reason why these destructive practices continue is because these women know that if they try to leave, they might have nowhere else to go. This is why it’s so important to provide these women with a safe space to learn, build confidence, and heal. 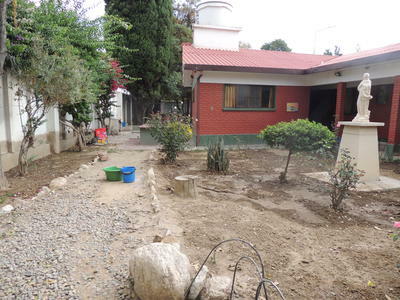 Through our new Human Rights Project in Bolivia, Projects Abroad is working in collaboration with the Sayariy Warmi centre in Cochabamba, Bolivia, to provide such a space. At the centre we provide education and skills development, giving these women the opportunity to become self-sufficient. At the same time, we work to build their confidence and self-esteem, helping them realise that they do not deserve the horrific treatment that they’ve experienced. Not only do we work with the women at the centre, but we also get the surrounding community involved to combat human trafficking and violence against women. By increasing awareness around these issues, we are creating a community that is better equipped to identify abuse and provide support to victims of abuse. Our project is taking a two-pronged approach. Through awareness campaigns, we are building a community that is more open to helping women who have experienced abuse or human trafficking. By providing education and developing skills, we help women successfully integrate into the community. Volunteers play an important role in the work of the Human Rights Project in Bolivia. From helping women fill in documents and apply for IDs, to researching, preparing and presenting workshops for awareness building and skills development, to organizing sports activities, to simply spending time with the girls and women at the centre. Volunteers are involved in all aspects of the centre’s work, and help it reach and assist far more women and girls facing abuse or who are in the grips of human traffickers. We are already seeing positive changes in the lives of the women at the centre. To date, of all the women and girls who have attended, approximately 60% return to school after their time there, while 30% start working. One of the young women who returned to school even went on to be the top achiever in her grade. These successes are encouraging, but help is still needed to make sure this centre and the Human Rights Project can continue helping some of the most vulnerable women and girls in Bolivia. Find out how you can contribute to our Human Rights project in Bolivia or take a look at some of our other Human Rights placements around the world.